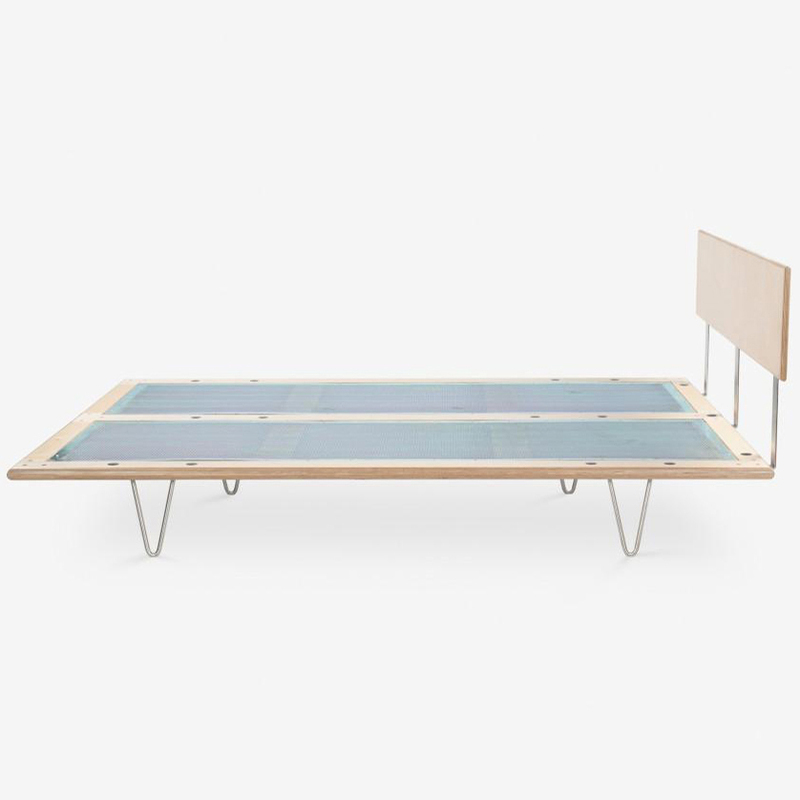 A benchmark for superior craftsmanship, The Case Study Bed® adheres to the highest standards of workmanship and genuine materials. 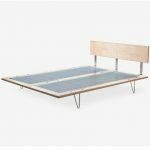 Designed by Modernica Studios and built by Modernicas master builders, this bed is the perfect definition of form follows function. 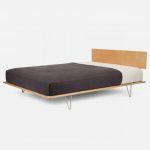 The superstructure of the bed and the headboard are built with a solid one-and-a-half-inch thick laminated hardwood. 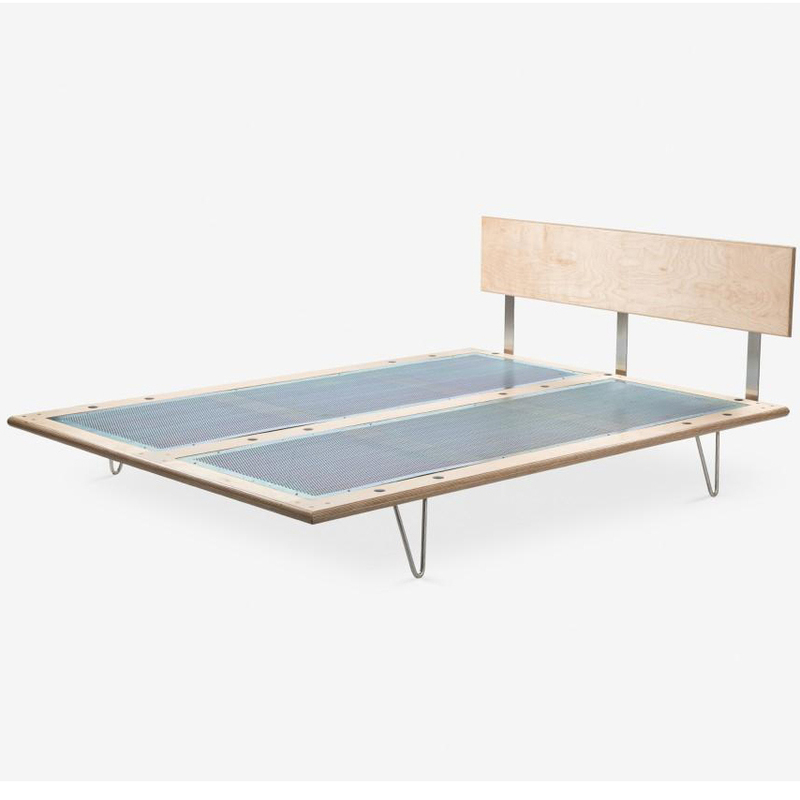 And each bed is engineered and built with six, rather than the standard four-legs. These additional legs add a remarkable overall-strength and sturdiness to the bed, which makes for a peaceful sleep. 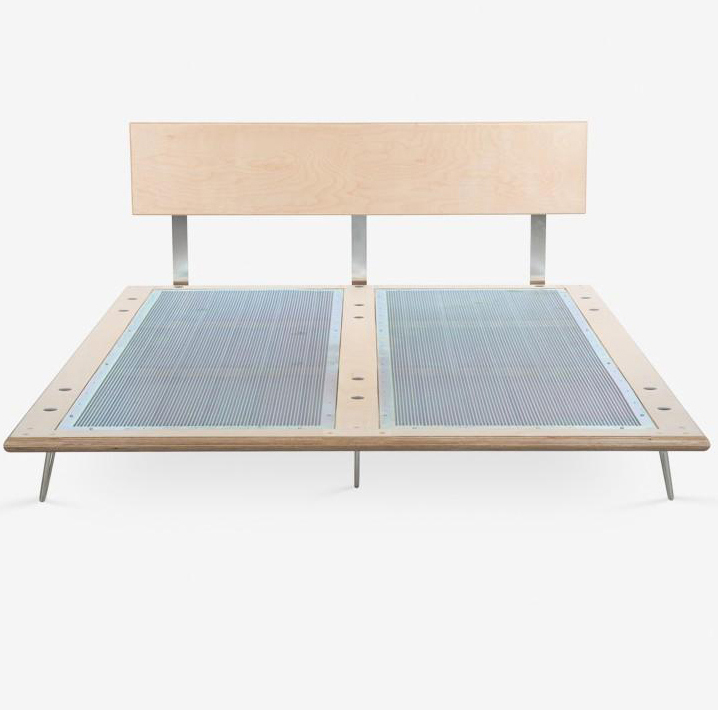 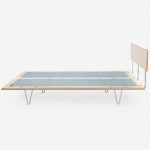 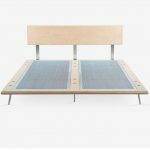 The mattress sits directly on the platform which is built with two zinc-plated perforated steel inserts. 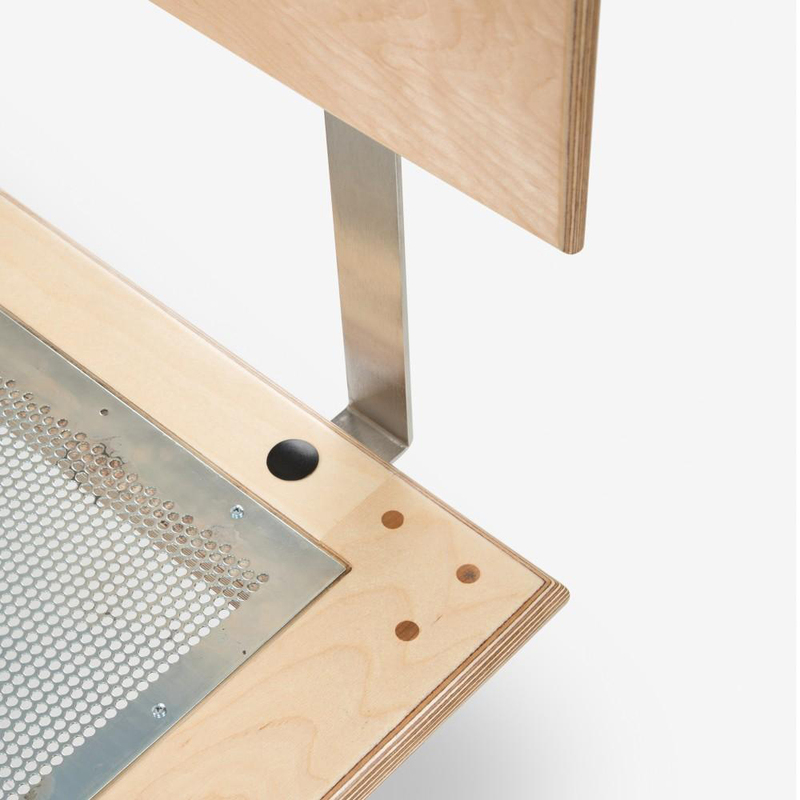 These perforated inserts allow the mattress to breathe naturally thus eliminating the need for a standard conventional box spring. . 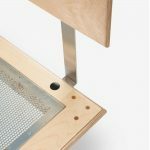 Available in different sizes in Classic, Natural, and Walnut laminated hardwood, maple veneer, zinc-plated perforated steel inserts or solid steel springs.